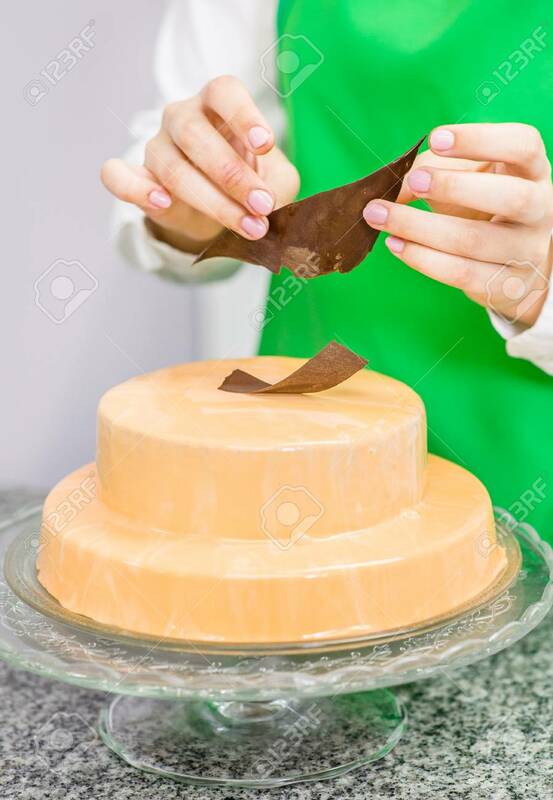 Immagini Stock - Close Up Confectioner Decorating Cake With Tempered Chocolate At Kitchen. Image 115532624. Archivio Fotografico - Close up confectioner decorating cake with tempered chocolate at kitchen. Close up confectioner decorating cake with tempered chocolate at kitchen.